Euro Copper adds a look of elegance to a home with its attention to detail, heavy-gauge copper and seamless assembly. 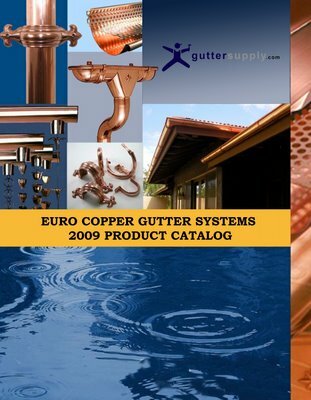 Priced competitively with traditional copper gutter systems, Euro Copper provides a more seamless look with their extra attention to the downspouts, elbows, miters and outlets. Be sure to check out the hanging system and decorative downspout brackets as well. A great Blog on this topic. I really want to admire the quality of this post. I would like to say thanks for the way of your presentation of ideas,Thanks . Thanks for sharing. I’m going to share it with my clients. < Previous post: Share Your Stories from Your Town! > Next post: Are you ready for the first spring storm?